Dr. Anemone Andronescu particularly enjoys minimally invasive surgery as it allows for a faster recovery. 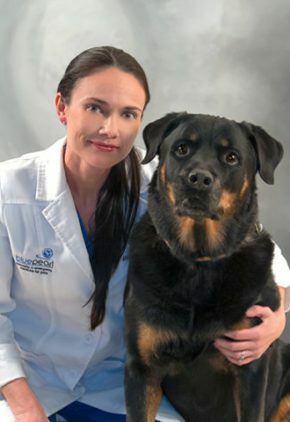 Dr. Andronescu enjoys outdoor activities and spending time with her husband and their three dogs: boxer Mica, Rottweiler Kane, and coconut retriever Zeus. Dr. Edgardo Delgado particularly enjoys surgery, cardiology and oncology cases. 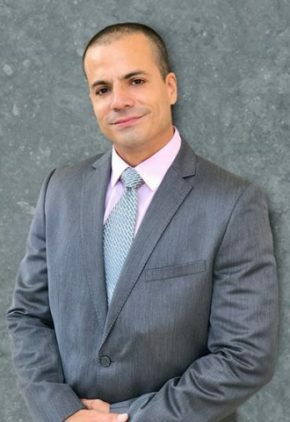 Dr. Delgado's favorite pastimes include kitesurfing, scuba diving and hiking. He also participates in many volunteer activities aimed at helping people and pets. Within the field of emergency medicine, Dr. Jason Haas finds wound repair, diabetic ketoacidosis, and respiratory emergency cases particularly rewarding to treat. He also has a special interest in surgery. Dive-certified, Dr. Haas loves the water. He also enjoys playing soccer and saltwater fishing. Jaeger is his German shepherd, and Riley his black Labrador. Dr. Suzanne Khalafalla has worked with many species, to include birds of prey, waterfowl, marine mammals, fish, lemurs, zebras and alligators. She enjoys the diverse caseload that emergency medicine allows. 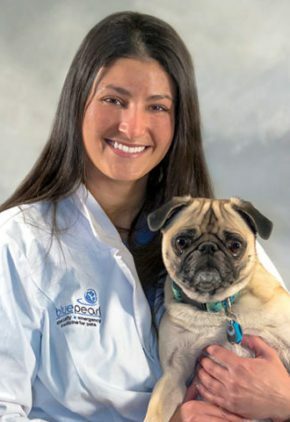 Dr. Khalafalla enjoys spending time with her friends, family and pug, Dudley. She can also be found traveling and staying in shape by running, hiking and diving. Dr. Kaitlin Knaszak likes the diversity and intensity of emergency medicine and particularly enjoys ultrasonography, wound management and critical cases. 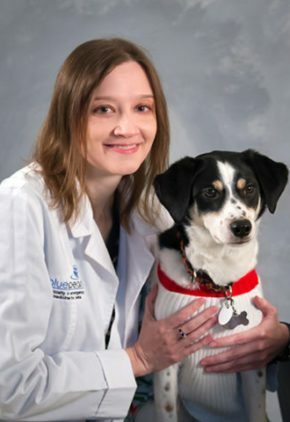 Dr. Knaszak and her husband have three dogs, Loki, Aubrey and Tyson, and two cats, Maci and Purrscilia. She enjoys traveling, beach time and cheering on the Buffalo Bills and Auburn Tigers. Dr. Veronica Lommler finds emergency medicine particularly rewarding and especially enjoys wound management, laceration repairs and ophthalmic emergencies. Dr. Lommler likes to hike, swim and cook. Her adopted cat Annabelle is blind but enjoys listening to birds and being outside. Dr. Brittany Parsons is part of our emergency medicine training program for clinicians. Dr. Parsons is passionate about being outdoors, especially near the water, and she loves to travel. She has two Jack Russell terriers, Bandit and Lilo, who was once a national champion racing dog. Dr. Leigh Perry's special interests include lower urinary tract disease and endocrine diseases. Dr. Perry enjoys hiking and vegan baking. A previous aquarium employee, she is still greatly fond of all things marine-related. She has two cats, Paige and Stuffing. 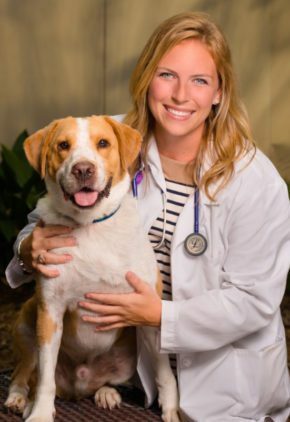 Dr. Amanda Traub is particularly fond of treating the often frustrating endocrine disorders like diabetic ketoacidosis and hypoadrenocorticism Addison’s disease. Ultrasonography, upper gastrointestinal endoscopy and gastric foreign body removal are also special interests of hers. 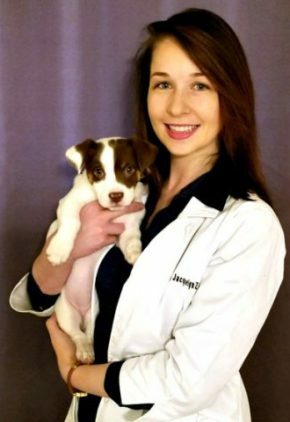 She has a passion for helping her patients and their owners through times of illness. Dr. Traub enjoys riding her bicycle and spending time with her nephews. She shares her home with a red-eared slider turtle Fred, and her cat Lucy. Dr. Frank Triveri’s clinical interests include the continual advancements in orthopedic and soft tissue minimally invasive surgery. Hemilaminectomies are one of his favorite procedures because he loves to see a once-paralyzed animal walk in for a follow-up appointment. 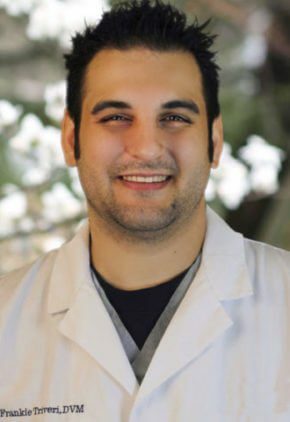 Dr. Triveri’s favorite pastimes include flag football, beach volleyball, bike riding and watching movies, and he also holds a black belt in Tae Kwon Do and is a former instructor. He can often be found cheering for the Pittsburgh Steelers or Penguins. Dr. Triveri has four dogs, JJ, Ziggy, Jazzy and Tessie, and four cats, Mr. Mistoffelees, Gary, Leo and Jasper. 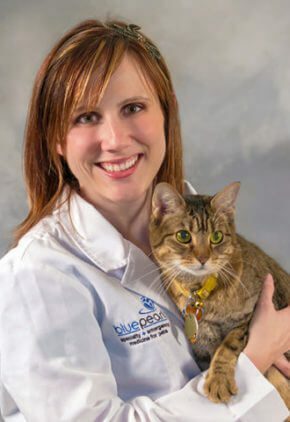 Dr. Jacquelyn Zidzik comes to our Virginia hospital from BluePearl in Arizona where she had the opportunity to treat a variety of emergent conditions including heat stroke, rattlesnake envenomations, and infectious disease-based gastrointestinal disease. As an emergency clinician, she particularly enjoys her role educating clients. Dr. Zidzik enjoys fishing and camping. Her closest companions are her two kitties, Merlin and his older sister Serenity. Dr. Zidzik is an avid Hokie football fan. Danielle is passionate about the science behind cancer and novel therapies for treating it, and working to foster strong patient bonds and relationships with clients. 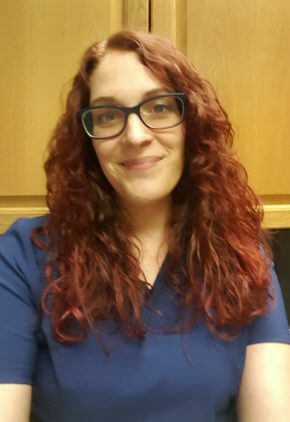 She speaks at veterinary conferences and enjoys movies, singing karaoke and relaxing on the beach, and has a full house of pets with two dogs, six cats and a freshwater fish tank. The fast pace and case variety drew Claire to emergency medicine, finding electrocardiogram reading and procedures like hemodialysis to be rewarding. She loves sewing, going to concerts and playing volleyball. Claire is married with a stepson, and has four dogs: Shado, Sookie, Vox and Vixen.